I’ve broken a lot of promises over the course of my twenty-five years of life. Some promises needed to be broken, but there are some promises that I am ashamed to admit I’ve broken- like the time that I promised I would never buy a Nook. In my defense, I technically didn’t break the promise. I didn’t buy my Nook; I received it as a Christmas gift. We’ll ignore the fact that it was on my Christmas list, and Santa was only following orders. He had no way of knowing that he was helping me to break a promise that I had made to myself. When the Barnes and Noble Nook was first released, I wrinkled my nose at the mere thought of an electronic book. I loved books; I was not about to betray my faithful friends by purchasing a Nook. I had grown up with a fierce appetite for books. I devoured them, and they provided sustenance for my incredibly demanding mind. 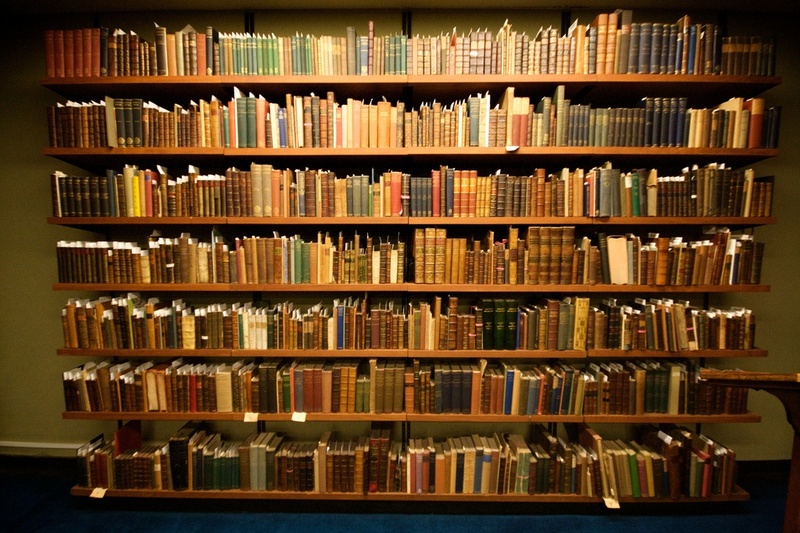 There was nothing more comforting than the smell of an old book, or more pleasurable than walking through the library doors and being greeted by the whirring of the old A/C or the click-click-click of keyboards. I could not fathom how anyone could consider an e-book as a suitable replacement for a well-worn paperback or a durable hardcover. I was convinced that there was no better way to spend a sunny summer afternoon than lounging by the pool with a new addition to a favorite series, and no better way to ensure a speedy recovery from an injury or illness than curling up on the couch beneath a warm blanket and reading a time-tested classic. Why would anyone want a Nook? I was asking myself that very question right up until the moment when I decided I was going to ask for one. I ignored the little voice whispering that I was a traitor, and that I was contributing to the dark future that I had envisioned Nooks would one day bring about. 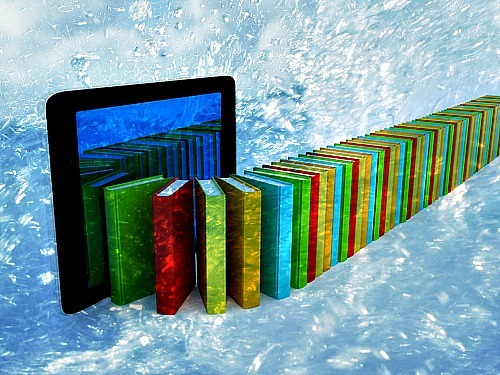 Ever since the introduction of the tablet, I was convinced that a Fahrenheit 451-like future was the only possible fate for a world that had abandoned books in favor of the e-reader. I imagined a future where the many bookshelves and cubbies that filled my bedroom would be replaced by a single shelf adorned with a single Nook. Inevitably, with the creation of the Nook and its competitor, the Kindle, books would become superfluous, a thing of the past. In years to come, children would frown in confusion at references to the sweet scent of old books, and ponder the purpose of the antiquated bookmark. In a world where everything you would need to read, highlight, and take notes in your books would be at your fingertips, highlighters and even pencils would become unnecessary. It was a frightening future, and not one that I wanted to help bring about, but not even the fear of this was enough to prevent me from asking for a Nook. In the end, I caved. Why did I do it? It was ultimately a matter of convenience. I traveled a lot between grad school and home, and it was much easier to travel with a Nook that could hold my Bible, my spiritual reading, and my pleasure reading all on the same tablet. I was able to condense a backpack of books into a Nook that could fit into my purse. It made traveling back and forth considerably easier, but I promised myself that I would never completely abandon my beloved books. That’s a promise that I firmly believe I haven’t broken, and I don’t think I ever will. I still love my books, and as I mentioned in my convent blog, I had a much harder time donating my books than my clothing. 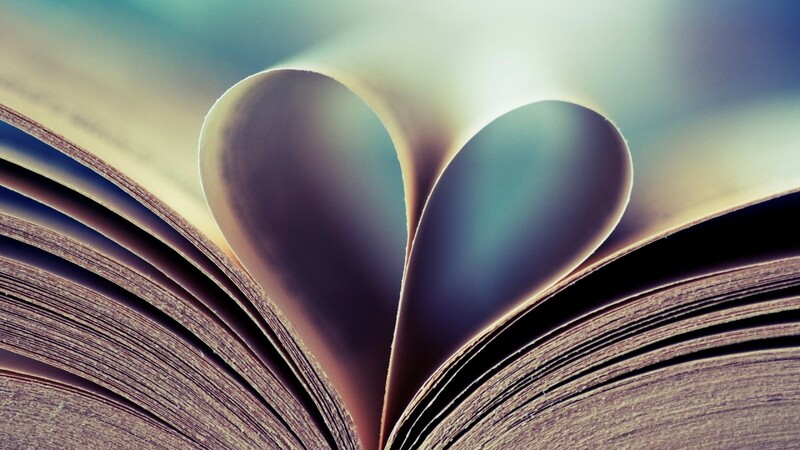 My books have always been my life, and as much as the stories left their imprint on my heart, I felt as though a little piece of myself was always left in the book when I closed the cover. My books had become a part of me, and I had been incorporated into the lives of the characters who I met in the pages of those stories, and as entwined as we were, it was nearly impossible to separate myself from my books so that I could sell them. It’s incredible what you can do through the grace of God. I donated most of my books, but I was allowed to keep my Nook. I had accumulated a decently-sized library of spiritual reading in the year that I had owned it, and my Superior permitted me to use my Nook even when I entered. In the three years that I have owned an e-reader, I have discovered that there is room in my life for both my books and my Nook. Since leaving the religious life, I have once again begun to build up a library of physical books that can rival the digital library that I have accumulated in cyber space. For every book that I purchase on my Nook, I probably take out at least five from the library, which continues to be one of my most frequented locations in my hometown. I still enjoy curling up with my dog-eared favorites and lounging with my classic hardcovers, but I also have a great appreciation for the fact that I can get on the train with just my Nook or my iPhone (with its Nook app), and have hours of reading entertainment in the palm of my hand. As far as I’m concerned, I have the best of both worlds. Every once in a while, I find myself in the middle of a particularly engaging library book when it comes time to travel, and I am forced to decide between starting a new book on my Nook or taking the library book with me. Most times I choose to start fresh with my Nook, simply because it means traveling lighter. Every once in a while I cannot help but continue my library book, and as a result, as most people type away at their laptops, watch videos on their iPads, and read on their Nooks, I can be found paging through my little old book. I stand (or rather sit) alone, clinging to an piece of art that is quickly becoming an artifact. I didn’t realize just how outdated my methods had become until a recent trip home from Boston. As the train rushed ahead, the overhead lights routinely shut off, and we were periodically thrown into darkness. I alone seemed bothered by this fact. While every other person in my car continued undeterred with their various gadgets, I struggled to read. People didn’t bother to hide the funny looks they cast my way as I alternated between reading by the dim overhead light and sitting with my book in my lap while I waited for the lights to come back on. In those moments of contemplative darkness, I mused at the fact that I alone seemed bothered. Why? Because I was the only one attempting to read an actual, physical book. In those moments, I realized just how much of a novelty books have become over the past few years, and just how old-fashioned I as a book-lover have become. I hope that I am not a member of a dying species. I hope that the people on that train simply opted for their Nooks, iPads, and laptops for that particular train ride, and chose to leave their books at home. That’s what I hope, at least. Otherwise, I need to start saving my bookmarks and hardcover classics because they might be considered pricey antiques someday- if they don’t become obsolete and are deemed worthless first. But a girl can hope for the best, right? And even if I am the only one left, I promise I won’t abandon my books. I promise that I will never betray my beloved classics and my dog-eared favorites. I promise I will hold firmly to the joy that I have found in the world of paper and ink. I promise.